For this investor, focus is the name of the game. Unlike many investors Oliver Steele-Perkins believes that building a property portfolio is a full-time job and not something you can simply do ‘on the side’. 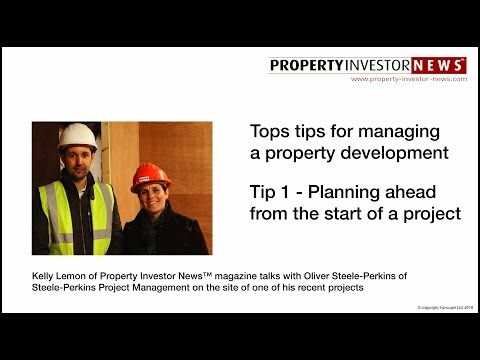 After working in the trade, getting educated and dabbling in property investment, Oliver came to the conclusion that the simplest route to success for him is sticking to what he knows best; project management. After all, it’s a skill that many people overlook. For Oliver though getting a project from pre-construction to post-construction is not as simple as some may think. During Oliver’s work placement year at University he got a real sense of the practicalities involved in working on site as a labourer. “I was out the door at 5.30am, then a company bus ride for an hour and a half to the site and then a day’s graft working as a carpenter on a new build 105-bedroom nursing home and doctor’s surgery before getting home around 6.30pm.